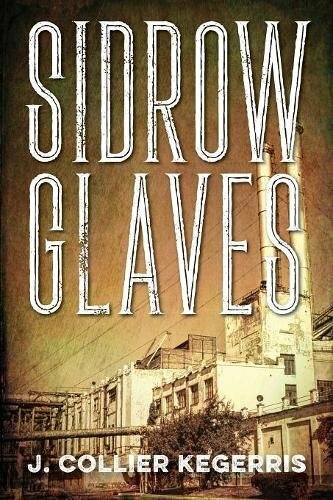 “Sidrow Glaves” by J. Collier Kegerris is a fast-paced, fascinating read of times in the 1930s, including racism, police corruption and the downfall of many innocent businesses. The story begins with Sidrow coming out of a Chicago speakeasy, where he is loved and admired by all. As the cops raid the speakeasy, Sid walks away untouched. This is in part due to his charm, and having the cops as his drinking buddies. At 28 years old, Sid lives with his father, who pays all his bills and entertainment. His father, Andrew built Inform, the first company to invent and produce infant formula. He is well respected in the community, worth millions and has a special relationship with his son. Inform is raided by agents from the State Attorney’s office due to complaints from several families in several states citing medical problems with their infants due to tainted formula. The slick and sly prosecutor is hoping to put Sid’s dad in his place and ruin him. During the time of Inform’s court case, the stock market fell, and many were without jobs, income and skills to find a new job. Sid is a lawyer but has never practiced in a court of law; when he is called on to do so for his dad. Sid has never known poverty, and never held a job and is now in a position where he has to start a new life. He chooses Le Sueur Lake where he lives in a very rustic cabin. It is here at the cabin Sid learns that money doesn’t equate love and happiness. He meets Pam, her son Terry and wheelchair bound daughter Emma and the rest is history. It is when Pam takes Sid through the canning factory that it dawns on him the cannery is the cause of all the medical problems. The author’s chosen time frame and plot with the invention of formula and problems with the cannery was well done. His research of the era of racism, corrupt police, lawyers, and big businesses was well worth the read. The story is captivating from the first to the last page, and the ending will surprise you. Sid’s character is well developed, and you definitely felt all his emotions when he finally has to learn to be a man and make his own way in life. The story is entertaining and uplifting. I felt engaged with every character, scenario and mystery that occurred during the 1930s in this small town of Geneva, where all relied on Inform for their livelihood. I highly recommend “Sidrow Glaves” J. Collier Kegerris if you want a book that will keep you reading into the early hours of the morning.